Spring is just around the corner and Cardio Plein Air West Island offers a complete and healthy workout in the great outdoors. It’s time to get outside and enjoy some fresh air and Cardio Plein Air offers state-of-the-art training programs that can help you achieve your fitness and wellness goals. In West Island parks you will find Cardio-Fit, Bootcamp and Vitality options adapted to your fitness level. This Spring the featured Cardio-Jogging workout will teach you how to run properly and safely without injury whether you are a beginner, intermediate or advanced runner. 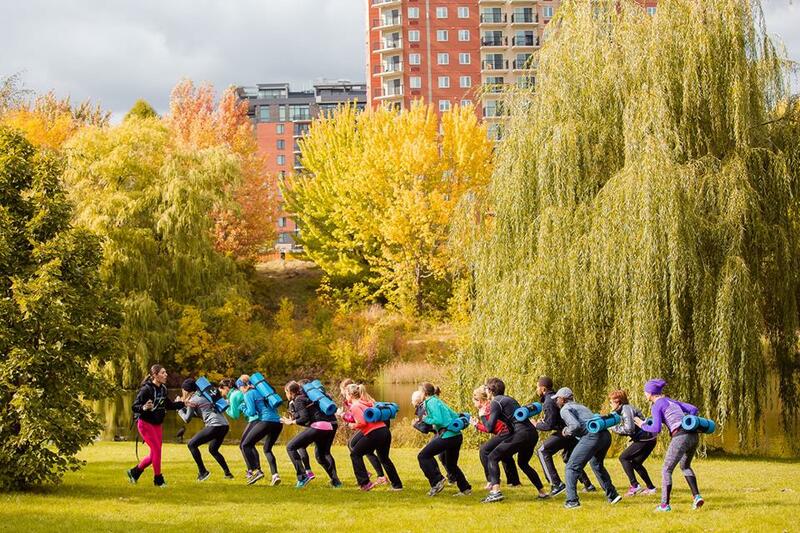 If you’re looking to get out of the house and completely disconnect, their Plein Air Zen, a slow-move class inspired by yoga and Tai Chi allows you to unwind and relax all while toning and slimming your silhouette. If you’re a new parent, you’ll definitely want to check out Cardio-Poussette and Cardio-Bambin, programs specially designed by their kinesiologists for new moms: working out with your little one has never been so fun. Release all of that tension while running with your baby safely strapped in a jogger stroller in six West Island parks. Cardio-Bambin is a fun way to introduce toddlers to a healthy and active lifestyle while contributing to their development. The Cardio Plein Air West Island Spring session will start on April 1st 2019 and they are currently offering many different subscription options: You can choose how often you workout and which activities you want to participate in. No stress and no pressure… if you feel like working out once a week, so be it! Visit their page and contact them to signup for a free class here.